Finding the right employee for the available position is very important for better productivity, improved work culture and overall growth of the organization. Regardless of the type and nature of your business, right employees are the basic ingredient for the proper functioning of your company. Let’s look at the six efficient ways to improve your hiring process and hire the best candidate for any position. Ask the right questions: This first thing to keep in mind when you think of hiring is asking the relevant questions. It will save a lot of your time and energy. Questions like: What are your goals? Why do you want to join this organization? What are your expectations? How would your skills and strengths benefit the company? These are some of the questions that can help you understand whether they will add value to your company or not. Never forget that your main aim is to hire a candidate who can add value in your organization. Social media activities: Social media has become a useful tool that employers use to evaluate the potential of candidates. A prospective employee’s social media presence can help you gather a lot of useful information. Social media can act as platform to help you filter out the best candidate. You will learn a lot about the behavior of the person and how he/she is as an employee. The social media can indicate whether he/she is a people person, extrovert or an introvert. His/her hobbies, interests and their networks can also be known through social media. It is a very important step for the employers today to check the social media activities before rolling out the offer letter. 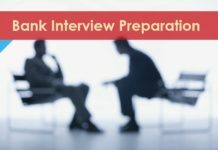 Interview as many candidates as possible: I understand it can be a very tedious task but an important one too. The only way to find the best and most appropriate candidate is to interview as many as possible. This will help you have more options and select the best amongst the rest. 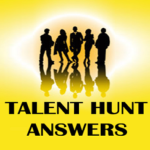 To interview a large pool of candidates, you need to access a large database of job seekers. Post your jobs on numerous job portals in India for recruiters to get a constant inflow of job applications. Don’t forget to take interns: This is one of the best way to hire the best candidate. You know everything that you need to know: their strengths, weaknesses, skills, knowledge, attitudes, behavior, confidence levels, grasping power and their actual performance at work. When hiring for permanent positions it is always advisable to consider the potential interns first. This saves a lot of time, energy and hard work. You already did the hard work while picking an intern. Look out for a candidate who will stay: You do not want to hire a candidate who changes their jobs every now and then. Look for stability in a candidate. It is very important for the growth of your business. Check for the candidate’s history and the time spent in the previous organizations. If the person has a habit of shifting jobs then certainly you do not want such a candidate to be a part of your company. This can be especially damaging when it involves positions with long training periods. Reference check: It is very essential for the employer to know whether the facts and statements given by the candidate is true or not. Hence, a reference check must be done. Even if the candidate appear very honest and truthful still it is your duty to have a complete reference and background check done before making an offer. Ask whether the reference would recommend hiring the candidate and if they can vouch for the candidate’s relevant skills or experience. With right strategies and methods it is not that difficult to hire a candidate who will bring positive changes in the organization.